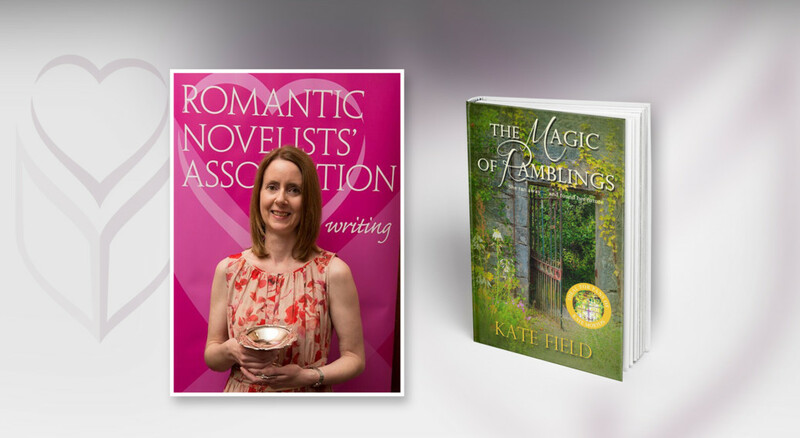 Lancashire-based author Kate Field has triumphed with her contemporary novel The Magic of Ramblings published by Accent Press, for which she has been awarded The Romantic Novelists’ Association’s (RNA) prestigious Joan Hessayon Award for new writers. Kate was presented with her award and a cheque for £1,000 at the RNA’s Summer Party, held today at the Royal Overseas League in London. The judges for the award, which included new RNA Chair Nicola Cornick and outgoing Chair, Eileen Ramsay, were unanimous in their decision to crown The Magic of Ramblings the winner. The book was selected from a list of eleven contenders, all authors whose debut novels have been accepted for publication after passing through the Romantic Novelists’ Association New Writers Scheme. Each year 250 places are offered to unpublished writers writing in the romance genre.